Vigneta is a handmade typeface created and published by Ilham Herry, a freelance graphic designer from Bandung, Indonesia. It is an all-caps font with humanistic lines, Vigneta is very suitable when combined with watercolor and for various purposes such as logo, wedding invitation, t-shirt, posters, lables, greeting cards, letterhead etc. 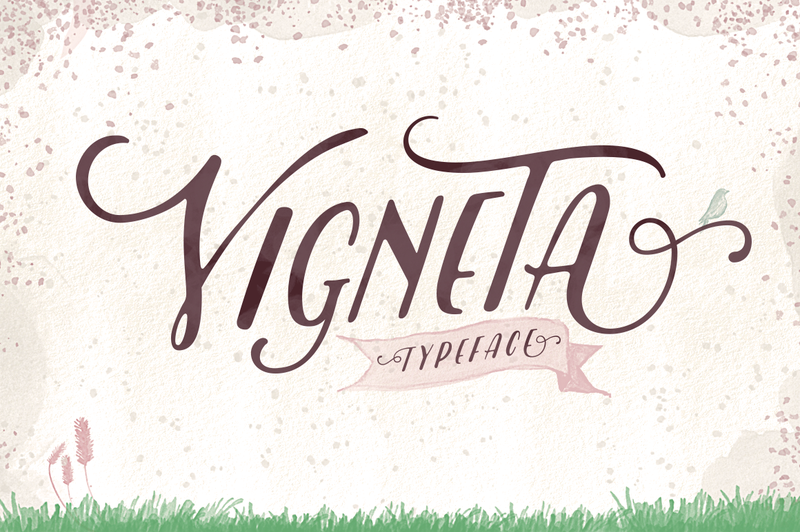 Clear the image with Vigneta! A font description published on Wednesday, June 10th, 2015 in Fonts, Ilham Herry by Andrei that has 3,395 views.